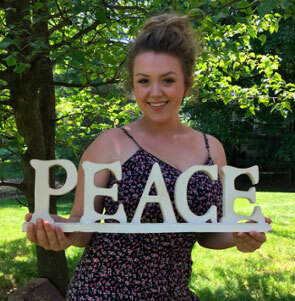 Successful completion of either an internship in Peace, Conflict, and Coexistence Studies (PAX 92a/b) or a PAX-related senior honors thesis in your major is a core requirement for completing the Peace, Conflict, and Coexistence Studies Program. The internship consists of at least 10 hours a week in a social change organization in the greater Boston area or, during a summer or semester or year abroad, anywhere else in the United States or the world. The intern is supervised by a PAX professor or staff member; keeps a daily journal; presents and does the reading of a bibliography on the topic of the internship and its larger framework; and writes a paper of 15-20 pages at the end of the internship. The student is expected to meet weekly or biweekly with the supervisor and to email weekly or biweekly if doing the work abroad. Internships can be found on your own or can be discovered through the Hiatt Career Center. You can also browse the PAX Resources and Opportunities page. You are responsible for choosing your intern sites. Possible intern sites and experiences should be approved by Professor Gordon Fellman before they are undertaken. During the summer of 2017, I was granted the incredible opportunity to pursue an internship with the Fellowship of Reconciliation, the oldest interfaith peace and justice organization in the country. I spent 11 weeks living and working at FOR’s headquarters, which is located on the Hudson River in Nyack, New York. FOR focuses its work on three main components: strengthening movements for justice and peace, building healthy communities, and demilitarizing lives in the US and abroad. My internship incorporated all of these elements, and was not only educational, but allowed me to experience nonviolence and peace movement building firsthand. Some of the experiences I had during the summer include: touring and speaking at the UN Church Center, spending substantial time at an intentional multi-faith community, visiting a Catholic Worker’s Farm, and training at the Swarthmore Peace Collection. The experiences, knowledge, and friendships I took away from the internship have been vastly inspirational and life-changing, and I would recommend the internship to all of my peers! I interned at Wage Justice Center, a nonprofit law firm in Los Angeles that aids low-wage workers in fighting back against wage theft. As an intern, I was given the opportunity to do case research, work on graphics to promote the nonprofit, and manage the nonprofit's Facebook account. This internship relates to my minor in Peace, Conflict, and Coexistence Studies as the mission of Wage Justice Center is to aid workers who do not have the resources to fight for their rights and to promote a more peaceful and just process for workers to do just this. I was able to learn about the inner workings of nonprofit law through this experience and am looking forward to continuing working on my minor as well my other studies.